Dubai, UAE: Jumeirah Golf Estates, home to the DP World Tour Championship, today launches AlAndalus – a new collection of mid-market townhouses, apartments and a Community Centre. Plans are revealed as Jumeirah Golf Estates’ profit surges 68% in 2014 compared to 2013, closing at AED 430 million. With 550 one, two, three and four-bedroom apartments and 75 two, three and four-bedroom townhouses at prices starting from AED 597,000 along with retail, hospitality and food & beverage outlets, AlAndalus is the latest highly anticipated addition to Jumeirah Golf Estates’ growing portfolio of Mediterranean neighbourhoods. 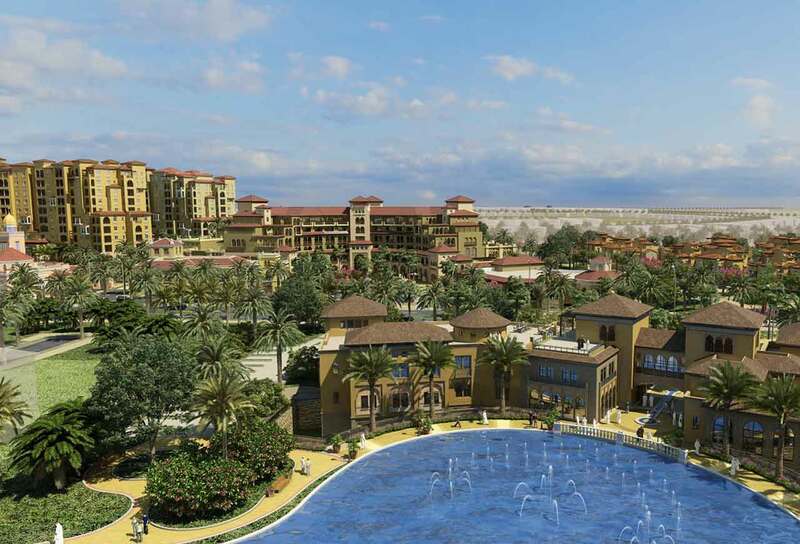 With renewed levels of interest in the development, Jumeirah Golf Estates is also set to unveil a new master plan for phases 2 and 3 of the development. Underlining the firm’s robust performance are a series of major milestones including the opening of its Clubhouse, a renewed partnership with The European Tour and the handover of homes to more than 700 families living within Jumeirah Golf Estates. The launch of AlAndalus signals a transition in Jumeirah Golf Estates’ development, as it seeks to compliment the product offering and provide more mid-market accommodation in the Emirate. A nature’s paradise, AlAndalus is encircled by Jumeirah Golf Estates’ impressive landscape architecture, with lakes and array of wildlife and foliage. Surrounding a tranquil pool oasis, the apartments will provide modern lifestyle complete with large indoor-outdoor living spaces, stunning golf course views and a host of shared amenities. The AlAndalus townhouses surround an urban piazza, traditional of Andalusian villages, and serene neighbourhood parks. Boasting large outdoor terraces, trellises, roof towers and modern interiors, the Townhouses’ unique identity offers a visual sense of exclusivity. Tying Alandalus together, the crescent-shaped Communtiy Centre consists of an indoor and outdoor retail and hospitality area, gardens, and al fresco dining spots. Jumeirah Golf Estates is located in the centre of new Dubai between Green Community and Dubai Sports City, off the Sheikh Mohammed Bin Zayed Road. Host to the Season Finale of the European Tour’s Race to Dubai since 2009, Jumeirah Golf Estates is one of the Middle East’s most prestigious residential golf communities, offering a wide range of world-class facilities and more than 1500 individually designed homes (constructed and under construction) in the United Arab Emirates. Situated just 15 minutes from The Palm and Dubai Marina, Jumeirah Golf Estates is well placed to provide an unforgettable experience at its two championship golf courses, Fire & Earth, and luxury homes within easy reach of Dubai’s top attractions. From a state-of-the-art Clubhouse to restaurants, swimming pools and fitness centers, Jumeirah Golf Estates has a wide variety of entertainment and recreation facilities that will provide a superior lifestyle.